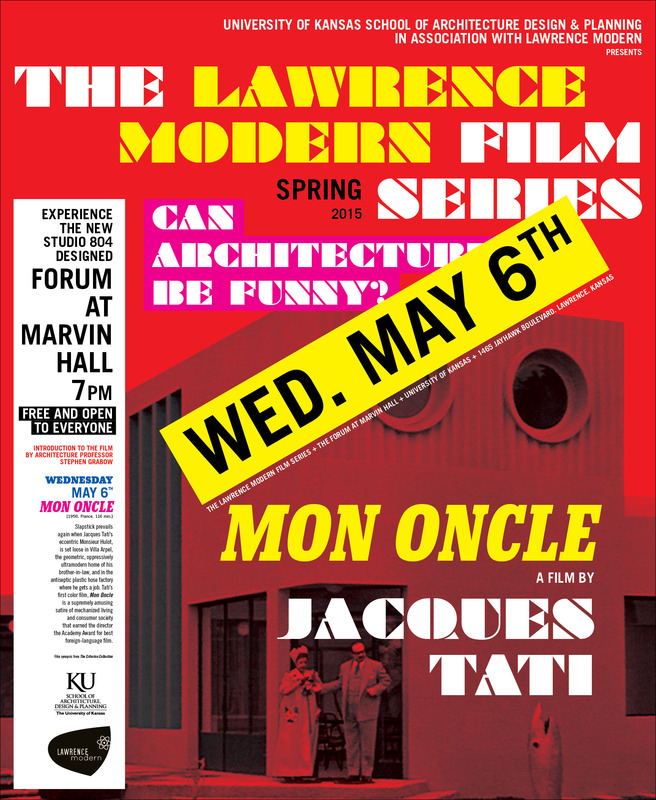 Again we wish to thank the KU School of Architecture, Design and Planning for collaborating with us on this exciting film series and generously providing use of The Forum. All films are free and open to the public, seating is limited. This entry was written by Lawrence Modern, posted on March 13, 2015 at 12:59 am, filed under Archive. Bookmark the permalink. Follow any comments here with the RSS feed for this post. Post a comment or leave a trackback: Trackback URL.